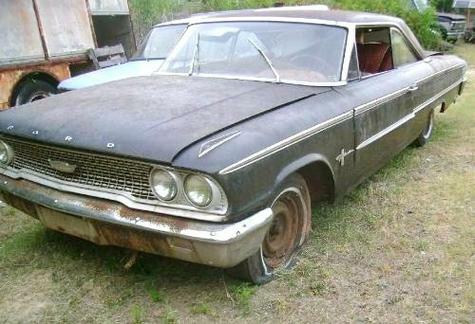 2008 The Day Roy's Bought his 1963 Ford Galaxie 500 two door Fast Back Sports Roof car. 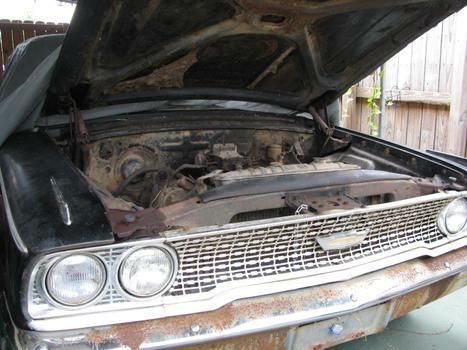 Roy's 63 Ford Galaxie came with a 289 SBF V8 and Cruse-O-Matic New / but had been changed over the years to a 1963 Ford 260 Small Block V8 Engine before Roy bought the car. 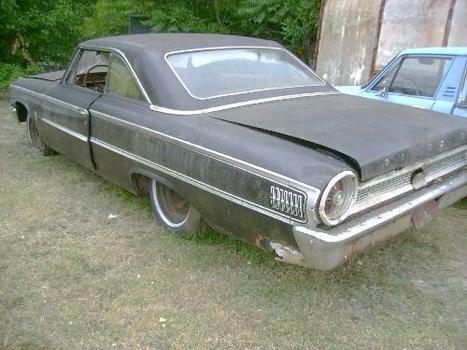 Here Roy Starts the Restoration of his 1963 Ford Galaxie 500 Two door Fast Back Sports Roof / Model 63B Black with Red interior. 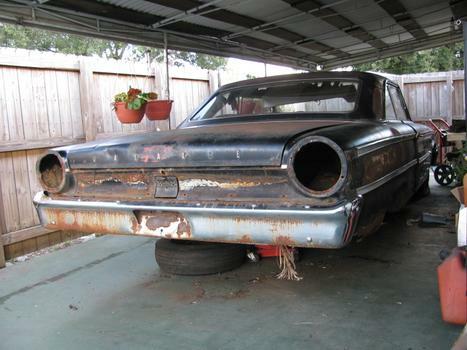 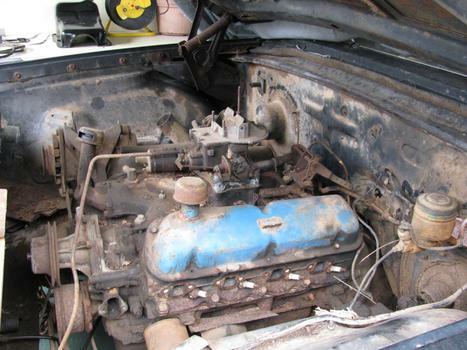 Better view of Roy's 1963 Ford 260 Engine before Restoration.